Lexaria’s technology is unique in that it takes advantage of GRAS (Generally Recognized As Safe) food ingredients processed with its patented DehydraTECHTM technology to improve taste, remove odor, and decrease the time to onset of bitter-tasting drugs. Lexaria is primarily a B2B enterprise and has existing cannabinoid licensing agreements with companies in Canada, the largest-market states in the United States, and internationally. Lexaria has entered into a R&D partnership with one of the largest cigarette companies in the world for oral forms of nicotine delivery. Lexaria has also developed its own brands partly for demonstration purposes, utilizing its patented technology to infuse hemp oil ingredients within popular foods such as coffee, tea, and supplements. These brands include ViPova™ and TurboCBD™. In 2015, Lexaria commissioned an independent third-party lab to test its technology under carefully monitored in vitro conditions. Results showed that the company’s technological process and lipid formulation improve intestinal absorption as much as 500%. Lexaria has conducted multiple rounds of studies including in vivo and human clinical. In absorption studies conducted on rats, for example, Lexaria detected nicotine in the animal’s bloodstream just two minutes after it entered the stomach. In a randomized, double blinded human clinical study, cannabidiol (CBD) was measure in the human bloodstream at a 317% higher rate 30 minutes after swallowing a capsule processed with DehydraTECH than a non-enhanced capsule of equal strength. Lexaria also has an R&D partnership with the Canadian government’s National Research Council. 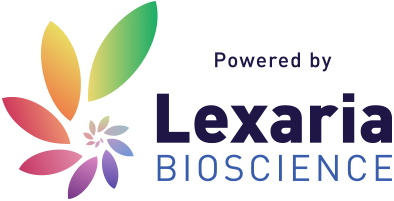 That R&D is expected to characterize molecular bond formation theorized to occur with Lexaria’s unique technology between the lipid delivery agents and the bioactive substances it processes and combines. Results from this R&D have helped support B2B relationships with Fortune 500 companies. Lexaria has four distinct subsidiaries that focus on different market sectors: Hemp/CBD; Pharmaceutical; Cannabis; and Nicotine. Aside from testing, a critical component of Lexaria Bioscience’s business model is a strong and growing intellectual property portfolio. As of the end of 2018, the company’s patent portfolio includes 53 patent applications filed and pending in more than 40 countries around the world; and 10 patents granted to date. Lexaria is expecting additional new patent awards both in the U.S. and internationally in 2019 and beyond. Some of its more recent areas of investigation have included human hormones and erectile dysfunction substances, among others. Royalties play a vital role in Lexaria’s revenue-generating business model. The company out-licenses its technology (royalty) to third-partners and has signed royalty deals with start-up companies as well as with a Fortune 100. The company’s growth initiatives are guided by a management team headed by CEO Chris Bunka, a serial entrepreneur who has contributed to several multi-hundred million-dollar valuations over the course of his career. He is supported by a growing team of professionals with extensive experience in pharmaceutical and bioscience sectors, invention, toxicology, consumer goods, and other relevant skillsets.